While Starfire is active, whenever another is fielded, deal damage to target opponent equal to that die's fielding cost. 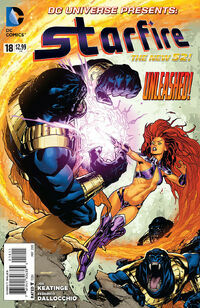 ^ DC Universe Presents Vol 1 #18. DC Wikia Database. Retrieved 9 August 2015.